My father was is dire condition and I flew back to Hawaii to be by his side and my family. I stayed with him at the hospital and the hospice. I stayed overnight to watch him. He peacefully passed away on the evening of October 24. 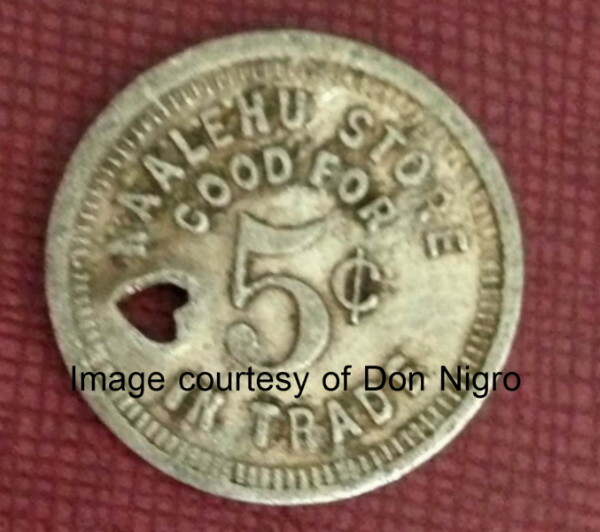 On Sunday October 25, to get my legs moving and head straight I spent a few hours at the Hawaii State Numismatic Association (HSNA) show. I did not purchase anything, but met several of the members of the HSNA and Honolulu Coin Club. Hopefully, I can give a lecture to the club on my next trip to Hawaii. Don Medcalf says its a discovery piece he’d never seen before. It’s 13/16th of an inch diameter; and is aluminum. I like this token! Both my grandfather and father worked the Hutchinson Sugar Plantation on the Big Island. Eventually they lived in Na’alehu. My dad calls Na’alehu his hometown. I will contact my dad and see if he remembers the store and token. Thank you sharing Don! (I can’t make the HSNA show this month. I don’t have the trading material for this token). 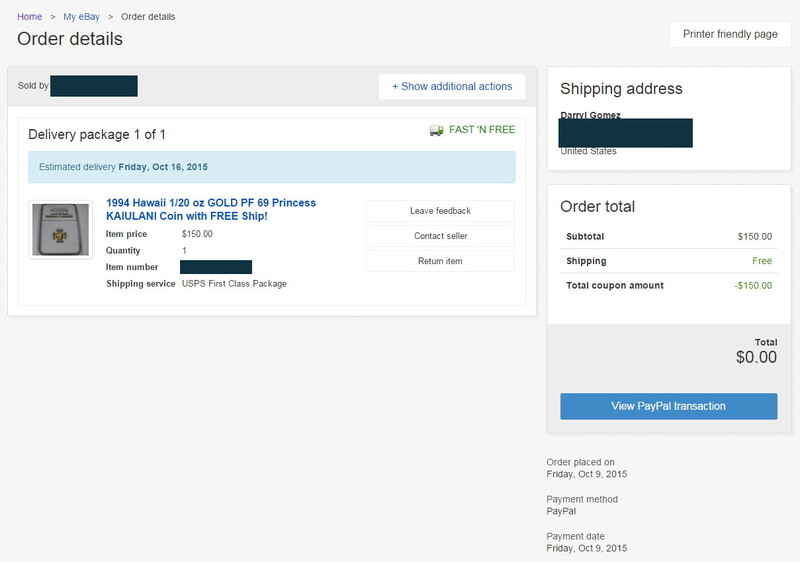 Used my accumulated eBay bucks to get a Princess Kaiulani gold coin for free (seller was also extended an offer which was accepted). I was interested in the year of use and did a quick check. 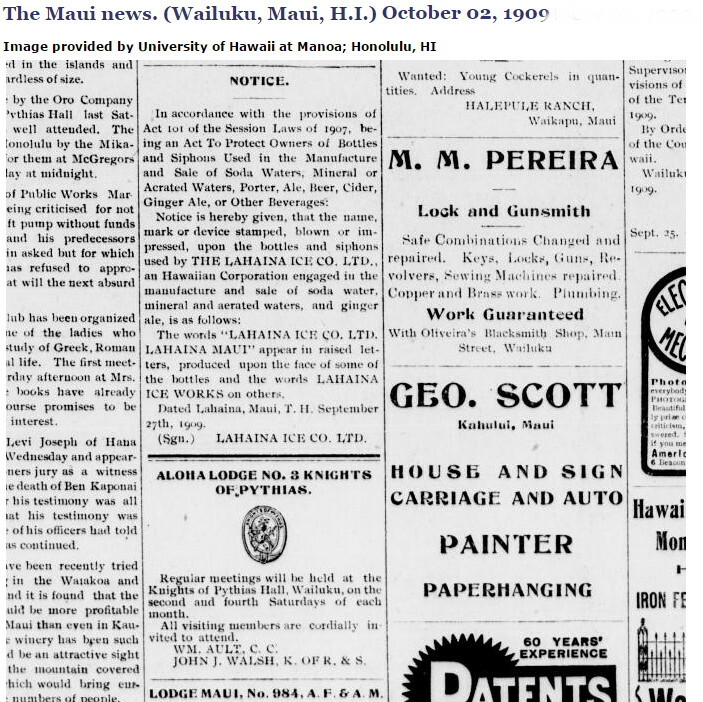 This is a 1909 public notice of the use of the mark LAHAINA ICE CO. LTD. The company also issue a version in the Hawaiian language. While surfing the internet for items about Frank Gasparro (U.S. Mint Chief Engraver), I came upon a website dedicated in listing medal artist with their works of art. This is biography. 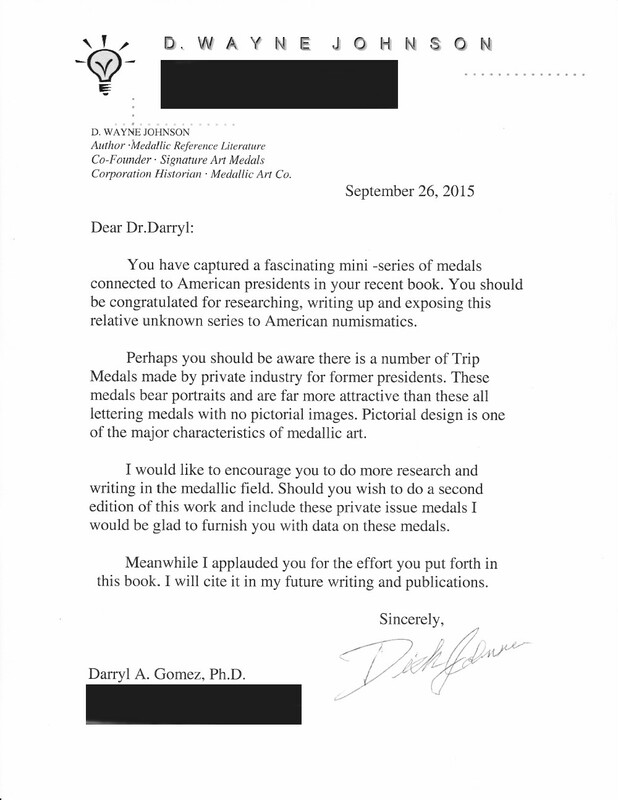 We exchanged emails after I identified several of Frank’s undocumented works as it relates to presidential medals. We exchanged book and this is the enclosed letter….